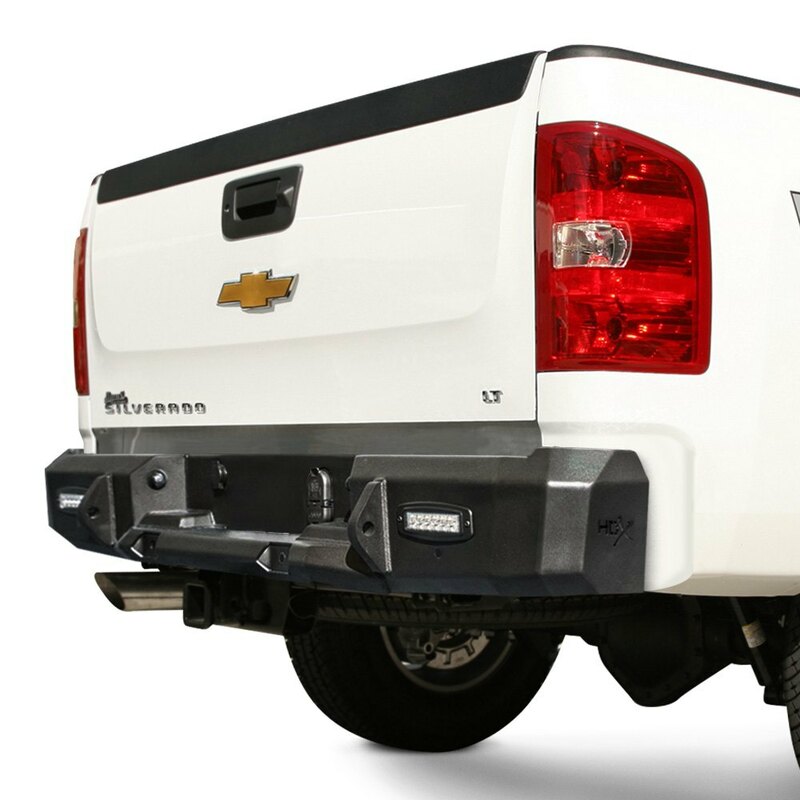 HDX™ Full Width Raw Rear HD Bumper (58-25110R) by Westin®. 2 led flush mount lights included. Without Sensor Holes. HDX Bumper is manufactured into a solid one-piece construction and crafted from heavy-duty 7 gauge steel for a true off-road protection. It features aggressive chiseled design with seamless welded bends and is raw finish for a flawless look. Your new HDX bumper by Westin will not only defend against damages, but also make your rig look like a serious off-road beast.